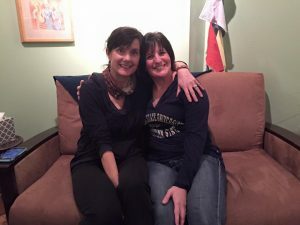 Today’s guest post comes from Stacey Tompkins, one of my beloved mentors, who has been my Life Coach and friend for several years. Stacey is a woman who loves to learn. She’s a wide-eyed wanderer, therapist, integral facilitator, listener, appreciator and straight-talker. She has traveled to many corners of our globe and gathered wisdom and experience. Formally, she earned a Bachelor’s Degree in Communication from University of San Diego, and a Masters of Arts in Clinical Psychology from Antioch University, Seattle. She’s also earned Advanced Certification in Hypnotherapy and Breathwork as well as Certification in Integral Coaching. As an overseas Peace Corps volunteer (Mali, ‘88), a relationship and life coach, hypnotherapist, facilitator and mediator, parent, traveler and overall curious human, she has gained a humanizing perspective about work, meaning, connection, family and community. 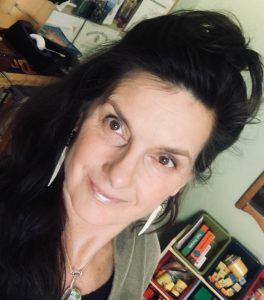 Stacey has a private practice called Sungate Integral Coaching in the heart of Bozeman, Montana, and a hypnotherapy practice called Awakened Heart Hypnotherapy. She works with couples, individuals, teens, and groups, offering retreats, workshops, adventures, and deep honest learning. She loves to write and has published articles about parenting, life, development, and the messiness and beauty of the human condition. She appreciates documentary films, speaks fluent Spanish, and is fascinated with everything that makes humans do what we do. Stacey lives in downtown Bozeman with her Mexican-mutt, her husband-angler, and random lovely housemates who land in their co-housing scene. “Wait, stop the car, I need to run in and grab a book” I said, as my husband, Ed, rolled his eyes. I’m famous for last minute needs. He tries to be patient, and mostly he succeeds. Scanning the piles of disorganized books on the gigantic living room shelf, I grabbed a book about wolves, thinking How apropos! This will be perfect! I’d picked it up at Costco a few years back, and this story in this place at this time just felt right. We’d planned to backpack for the weekend and I figured there would be down time. It was late Fall and the nights were stretching out with their cold, dark tendrils. 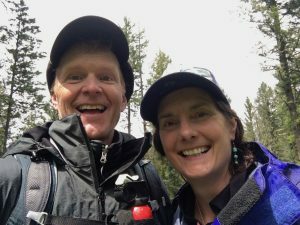 Each Fall we go backpacking in Yellowstone, which is a crapshoot for weather any time of year. I’ve learned to come prepared. I starting reading A Wolf Called Romeo by Nick Jans aloud to my husband in our van on the way to the North Entrance of Yellowstone Park, a 1.5 hour drive. Both of us were mesmerized and beautifully entangled in the story right out of the gate. Wolf facts, wolf lore, wolf behavior, wolf devotees; we were hooked! As Ed fished, I read loudly along the banks of the river, practically yelling over the rushing of the swift Yellowstone. As I took my turn driving, Ed continued reading the story with gusto. We backpacked into Slough Creek and I insisted we set up camp along the sandy creek bank because I love to sleep to the sound of babbling water. I cooked dinner, and Ed read aloud. Ed made a fire, and I read aloud. We got in our sleeping bags and took turns reading aloud, and by midnight we were halfway through the book. Scanning the pictures in the middle of the book with our dimming headlamps, we marveled at the images of Romeo. He was so black and remarkably huge. The photos captured how he was both friendly and submissive and yet powerful and wild. A social and playful creature, Romeo’s need for connection was obvious. His unique ability to draw dogs and people toward him created what I felt was a kind of Wolf Ambassador. It seems he wanted to teach us humans just how freaking fun it is to be a wolf, and how all the myths and stories about “The Big Bad Wolf” are just complete nonsense. I fell in love with Romeo, then I became anxious. What would happen to him? Ugh. Love is so risky! And while I fell in love with Romeo, I was also appreciating my husband in a new way. The two of us connected through this story. We were both in it which felt supremely yummy. Even though we wanted to continue reading, our eyes were heavy and the pillow was soft and warm. I marked the page and went deeper into my sleeping bag, fading off into dreamland. We both woke to the sound of far off howling. “How cool!” Ed said. And we slept again. Then, we woke to more howling, but this time it was super close. As in, right outside the thin tent wall. “What the? Do you hear that? Oh my god, how incredible” I said, gently pulling the tent flap back. We didn’t even have to unzip it, because the night had been perfectly still and we left it unsecured. There in front of us on the other side of the creek, was a gigantic black wolf, sitting on a low flat rock, howling. It felt like we had conjured him, like we had stepped right into the story, and there he was, in all his beauty and wildness, calling us to witness him. 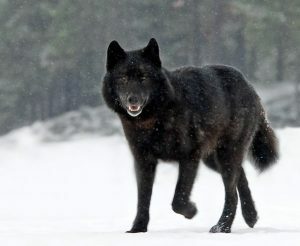 Half the pack appeared from the right, with the alpha female loping along the creek, and greeted this alpha male. Yipping and wagging and licking and sideways glances, we witnessed this ritual of morning hellos. And then the rest of the pack, including the new babies, arrived, trotting in from the other side, a dozen wolves total. I looked at Ed and his mouth was hanging open, and I realized mine was too! What magic! The greeting ritual went on for a ridiculously long time, and we witnessed, wondering how we got to be so lucky. Wondering if they knew we were here. Wondering about coincidence and serendipity and star-aligned intersections. Then without warning, they ran off down the banks of Slough Creek and played and jumped and yipped at each other until they were gone. It felt like we had been gifted a peek into another world. 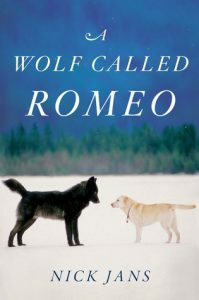 And it all started with the book about Romeo, and his willingness to show himself, share his social abilities, and close the gap separating humans, dogs, and wolves. We finished the Romeo book the next day, and have been reading books aloud to each other ever since. Our most recent adventure was just a few weeks ago, a float down the Middle Fork of the Salmon River. 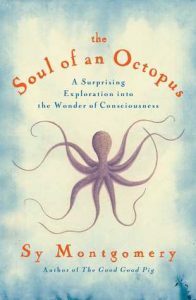 We read aloud a book called The Soul of an Octopus, by Sy Montgomery. Sadly, no octopus presented itself while we were there, but the book is magnificent in the same way the Romeo book was. Facts, lore, devotees and quirky personalities expressing themselves through the bodies of exotic creatures. Ed and I love this together quality time; learning, adventuring and connecting through stories about the world in which we live, and the creatures we share the planet with. 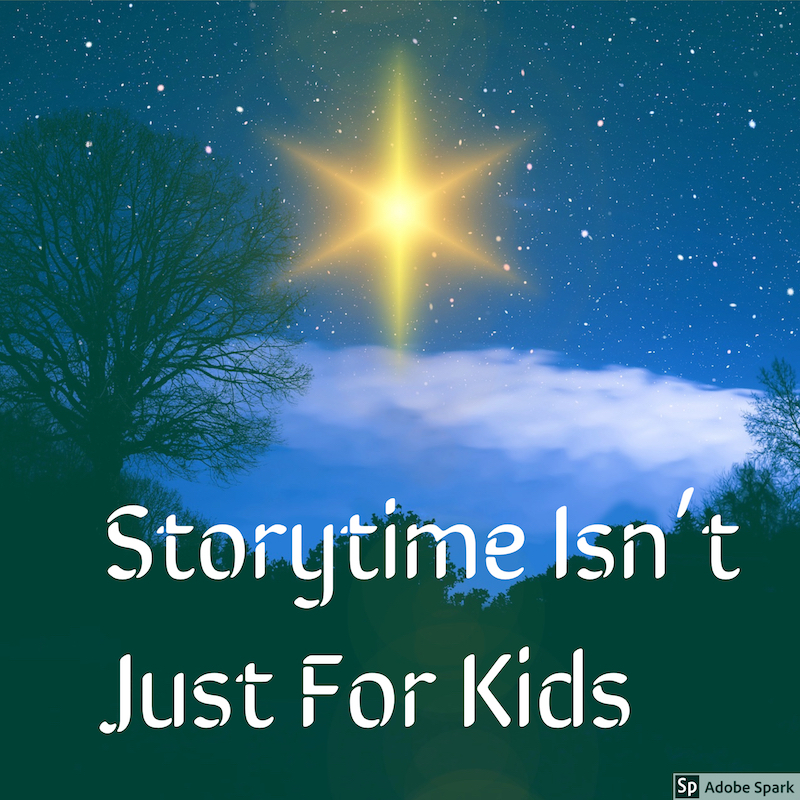 Storytime isn’t just for kids. Storytime is for anyone who is curious and engaged and playful and open. It’s for anyone who wants to share an experience, journey to the mysteries of our world, and call in the magic. I especially love stories about real experiences. Truth is stranger than fiction. This is right on. Nobody can make up crazier stories that what actually happens in real life. I love that. I love to read about that. I hope you do too. Wow! Amazing story. Thank you for sharing…. I definitely agree. Audio books are great for long drives and even help the time pass for both the adults and children in the car. There is always a connection because no one can listen of read a story unless there is someone to write, read or tell the story. Blog on! so we can read on! wow amazing that you were graced by the presence of magistic wolf pack. i adore stories too I can’t resist a good book.